Honor your patient’s wishes – Join the national ACP network. Care Directives’ Advance Directive information Exchange (ADiE) is enabling care teams to share and receive Advance Directives, POLST, and EMS/Out-of-Hospital DNR forms across the care spectrum in real-time at the point-of-care. We’re changing the status quo of how Advance Care Planning documents are being created and shared across the care continuum. Turn to psychiatric advance directives to improve collaboration and deliver better mental healthcare outcomes. Get real-time access to patient documents in existing workflows, especially when each second counts. 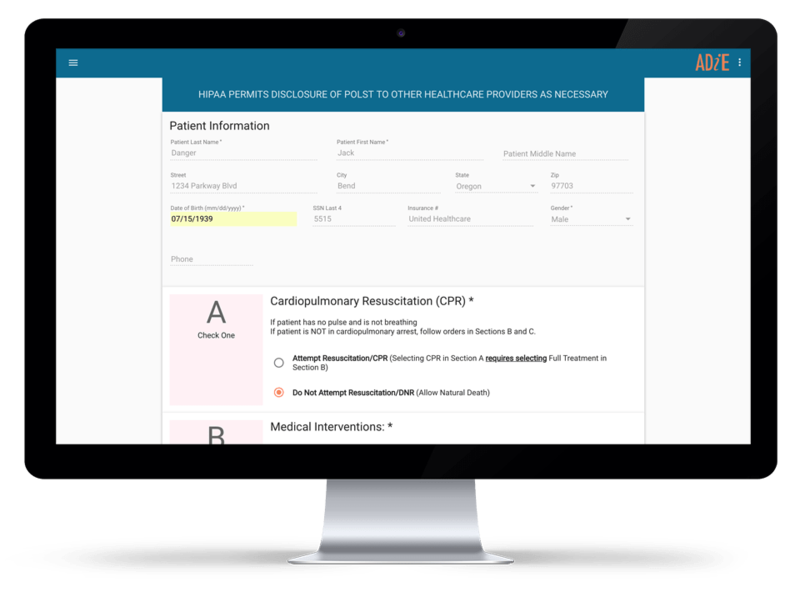 Easily share and serve up actionable data from patient records and advanced planning documents into existing workflows across multiple providers and caregivers. Coordinate the delivery of care to improve patient outcomes by easily sharing records.